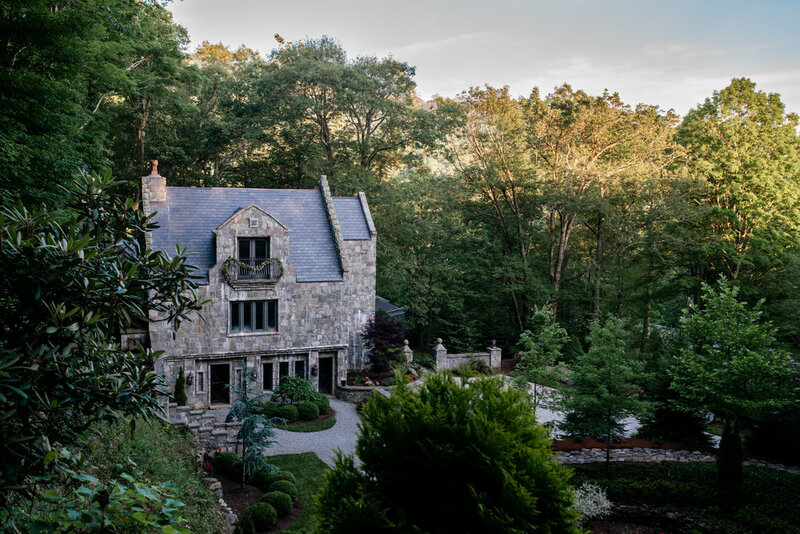 Nestled in the beautiful Blue Ridge Mountains of North Carolina, Chateau DuMont offers guests exclusive access to stunning castle grounds, beautifully landscaped courtyards, and old world charm you’ll find nowhere else. Built by the family who owned Grandfather Mountain and cofounded the Grandfather Mountain Highland Games, this historic gem of Appalachia is rooted deep in Scottish heritage. Three stone cottages provide overnight accommodations for corporate guests, honeymooners, or anyone looking for a relaxing mountain getaway. Fill your days with all the adventure and wonder the Blue Ridge Mountains have to offer, enjoy an afternoon strolling the castle grounds, and spend your evenings cozying up by our fire pit or wood burning fireplace. We look forward to meeting you and sharing our mountain escape.